PFPE 501 is a chemically inert, high temperature and extreme pressure lubricant. With an upper operating temperature of 250°C and vapour pressure of 1.3 x 10-12 at 25°C, it is robust, versatile and can be used for sealing and lubricating under the most extreme operating conditions. This includes environments where aggressive chemicals and strong oxidising agents are regularly used. As most Apiezon users are more familiar with hydrocarbon chemistry we’d like to provide some background on what PFPE is, and how its molecular structure can explain its physical properties. 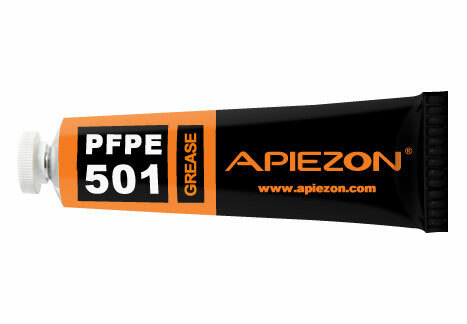 Why Use Apiezon PFPE 501 Grease? Benefits of Apiezon PFPE 501 Grease? Apiezon H Grease is a silicone-free high vacuum grease perfectly suited for use at high temperatures in both scientific and industrial applications. H Grease has exceptional 'stiction' and thermal conduction properties and has gained prestigious approvals from a variety of international organisations, including BAE Systems, the European Space Agency and NASA. Apiezon L Grease is a silicone- and halogen-free ultra high vacuum grease suitable for use scientific and industrial applications. 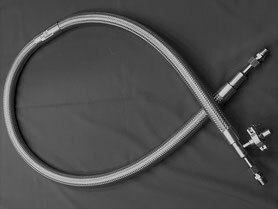 L Grease has the best vapour pressure properties of all the Apiezon products and is therefore suitable for use in ultra high vacuum applications. L Grease is regularly used by highly respected organisations such as The European Space Agency, NASA and NATO. Apiezon L Grease is designed for use at ambient temperatures (generally between 10 to 30°C / 50 to 86°F). If you are looking for a grease capable of performing at higher temperatures, Apiezon AP101 or Apiezon H Grease may be more appropriate. Apiezon M Grease is a silicone- and halogen-free high vacuum grease and is ideally suited to all manner of high vacuum applications. Its inherent versatility means M Grease is also frequently used for non-vacuum purposes in both scientific and industrial settings and it is approved for use by NATO. Apiezon M Grease is designed for use in high vacuum environments at ambient temperatures (generally between 10 to 30°C/50 to 86°F). If you are looking for a grease capable of performing at higher temperatures, Apiezon AP101 or Apiezon H Grease may be more appropriate. Apiezon high vacuum greases, also useable for making thermal contact between sensors and cold surfaces. This innovative new lubricant solution to those low temperature challenges can also be cycled from the low temperatures up to room temperature and then back down without showing visible signs of cracking. Easily to remove at room temperatures. Apiezon T Grease is a silicone-free medium temperature vacuum grease renowned for its quality and tenacity. T Grease has gained approval from prestigious organisations including NATO and the US Navy. Apiezon AP100 Grease is a silicone-free vacuum grease and lubricant. Containing PTFE, AP100 exhibits extremely high levels of lubricity and has been shown to provide eight times the level of lubrication offered by standard, petroleum-based lubricating greases. Apiezon AP100 is designed for use at ambient temperatures (generally between 10 to 30°C / 50 to 86°F). If you are looking for a grease capable of performing at higher temperatures, Apiezon AP101 or Apiezon H Grease may be more appropriate. Apiezon AP101 is a silicone-free, excellent general purpose, hydrocarbon grease, which is intended for a variety of industrial and scientific applications. Apiezon AP101 is a specialist, anti-seize vacuum grease, containing PTFE, which confers superior anti-seize properties providing glass and metal surfaces with long-lasting lubrication and protection from fusing and corrosion. 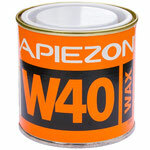 The Apiezon range of waxes features three products including the popular Apiezon Wax W, also known as ‘Black Wax’. 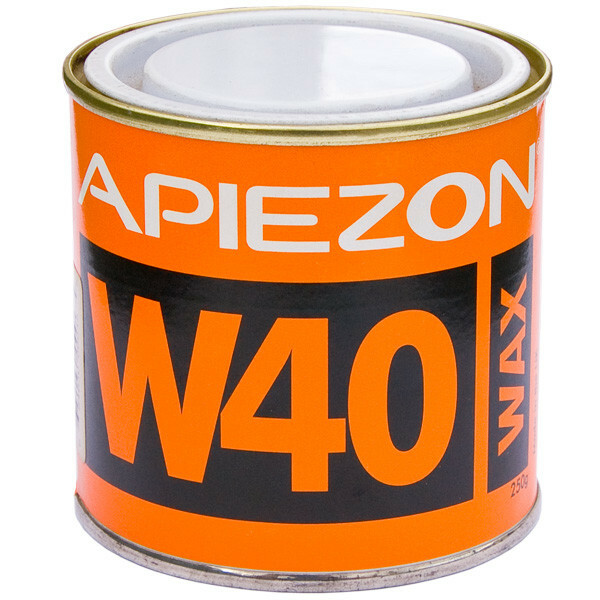 All the waxes in the Apiezon range can be used as permanent or semi permanent vacuum sealants or mounting media. Apiezon Wax W is also a perfect etch resist. Apiezon Q Compound is an effective temporary vacuum sealant that is used as a short term solution in situations which do not allow for the immediate dismantling of a system for repair. In addition to AP201 we also manufacture sealing oils, Apiezon J and Apiezon K, which are used in situations were moderate viscosity and low vapour pressure are required. 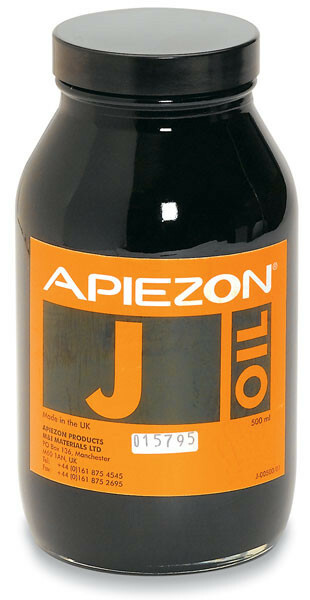 Apiezon J & K Oil, 500ml. 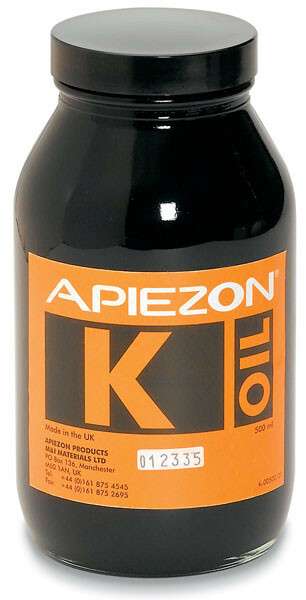 Apiezon AP201 is a flagship vapour booster pump fluid with an exceptionally high degree of oxidation resistance. AP201 is widely regarded as being far superior to other low quality imitation vapour booster fluids. Some pump manufacturers who specify the use of Apiezon vapour booster pump fluid even warn that using other fluids can actually invalidate their warranties.